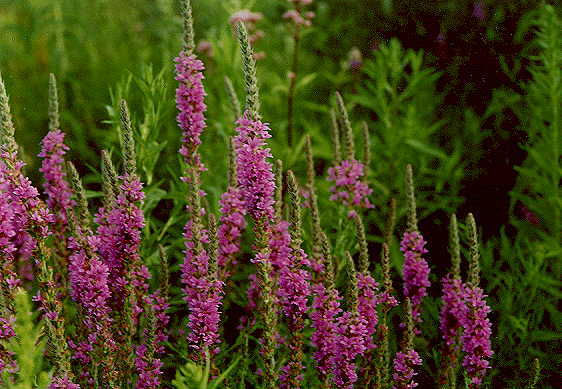 Purple loosestrife (Lythrum salicaria) is an immigrant plant from Europe that is taking over our temperate wetlands. It is a very beautiful plant, but it creates huge stands that choke out the native vegetation that our wildlife depends on for food and habitat. 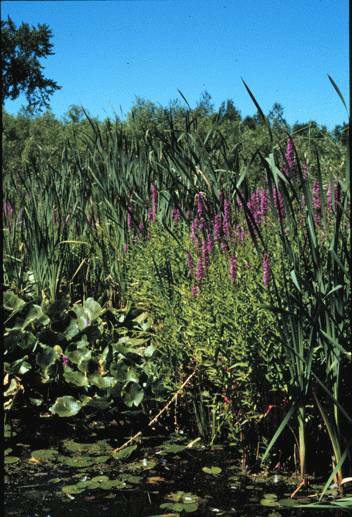 Michigan State University is partaking in a biological control project that involves local schools in an attempt to save our wetlands from the Purple Peril. 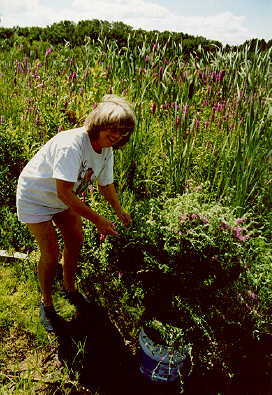 Students at Caledonia High School participated spring of 1998 the Purple Loosestrife Project through MSU. The students raised loosestrife-eating beetles from Europe in the school biology greenhouses. Our beetles were released at Fresca Lake in northern Kent County. Releasing purple loosestrife beetles at Fresca Lake. The Caledonia High School ecology and biology classes of John Van Orman, with the assistance of the Thornapple River Watershed Group, plan to start raising beetles again in February and March of 1999. We have two locations in the watershed to release our beetles. For more information, visit the Purple Pages at MSU. For biological control information, visit Insect Ecology and Biological Control at MSU.